As you can see from that definition, there are two main categories of verbs: action verbs and state of being verbs (also known as linking verbs). 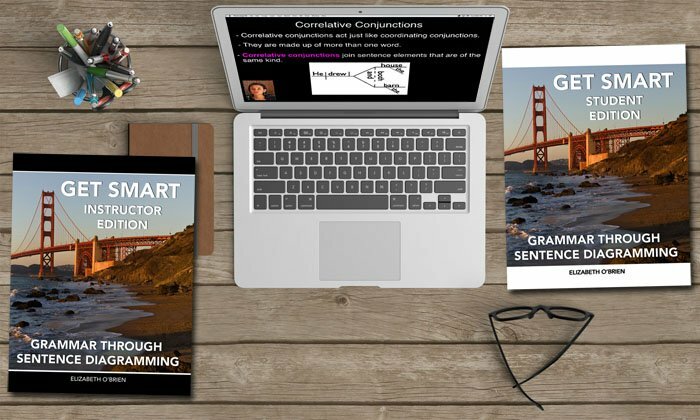 Because action verbs and linking verbs are strong enough to be used in sentences all by themselves, they are called main verbs. But wait! There is also a third category of verbs which doesn't get any glory. They are the helping verbs. The reason that these guys don't get any of the fame that action and linking verbs get is because they don't stand alone as main verbs. Click here to see a list of all 24 helping verbs and to hear the helping verbs song. 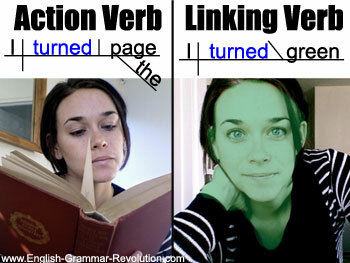 Helping verbs always help either an action verb or a linking verb. 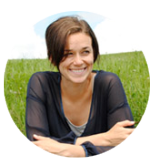 Some verbs can function as main verbs or helping verbs, but they will only do one job at a time in a sentence. What is a verb? Let's look at some examples of verbs! Action verb with no helping verb I ate five pizzas! Helping verb helping an action verb Now, my stomach will hurt for an hour. Two helping verbs helping an action verb Actually, my stomach will be hurting for a few days. When you have a helping verb along with an action or linking verb, all of those verbs together are called a verb phrase. Here are some examples of sentences with verb phrases. Example: Now, I will eat fruits and veggies. Example: I have been feeling great! What is a verb? Got it all? Here's a summary. There are three categories of verbs (action, linking, helping). Only two can be main verbs (action, linking). Main means that the verb is strong enough to be the only verb in the sentence. 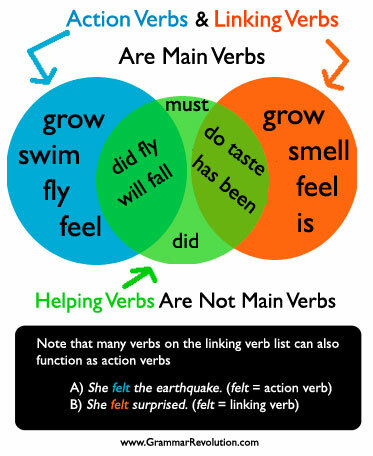 Helping verbs are not main verbs. They help action and linking verbs. 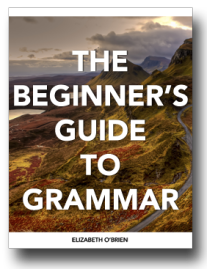 A helping verb and a main verb working together are called a verb phrase. So, you now know the answer to the question, "What is a verb?" (It's a word that expresses an action or a state of being!) You also know that there are three categories of verbs (action verbs, linking verbs, and helping verbs). For the next little while, we're going to focus on main verbs. So, forget about those poor little helping verbs for a bit, and let's turn our attention to action verbs and linking verbs. These two kinds of main verbs can act in four different ways. These guys are action verbs, so we know that they show action. This type of verb does not transfer its action to anyone or anything. These verbs make sense without having to transfer action anywhere. Cats drink. Clocks tick. Buses move. These action verbs transfer their action to someone or something. That means that something or someone is always being acted upon. In our example sentence, ball is receiving the action kicked. The receiver of the action in this kind of verb is called the direct object. In our example sentence, ball is the direct object. Every single transitive active sentence must have a direct object, and the direct object always receives the action. Cats drink milk. Clocks make noise. I lost my ticket. Milk is receiving the action of drink. It is what cats drink. It is the direct object. Noise is receiving the action of make. It is what clocks make. It is the direct object. Ticket is receiving the action of lost. It is what I lost. It is the direct object. These verbs are written in the active voice. These verbs also show action, and they also transfer their action to a receiver. In transitive active verbs, the receiver was the direct object. 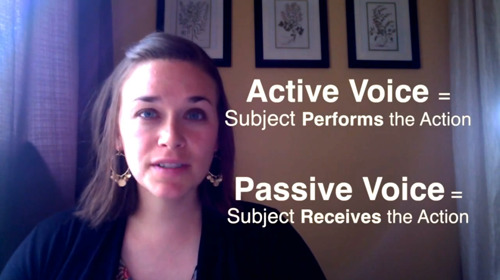 In transitive passive verbs, the receiver of the action is the subject! The ball was kicked. The house was demolished. Who is receiving the action in those sentences? Ball received the action of kick and house received the action of demolished. Ball and house are the subjects of those sentences. Notice that we may not actually know who initiated the action. (Who kicked the ball?) Sometimes we find this out in a prepositional phrase. The ball was kicked by John. These verbs are written in the passive voice. Linking verbs differ from the three other verb types because they are the only verb type that does not express any action. What do linking verbs do? It's pretty simple. Linking verbs tell us about the state or condition of the subject. They link the subject of a sentence with either a noun that renames the subject or an adjective that describes the subject. Nouns that rename the subject are called predicate nouns. Adjectives that describe the subject are called predicate adjectives. Milk tastes delicious. Clocks are helpful. I am the bus driver! It may help you to think of linking verbs as an equal sign between the subject and a predicate noun or a predicate adjective. Am is linking the subject I with the predicate noun teacher. Is is linking the subject soup with the predicate adjective salty. Note that is isn't always a linking verb. 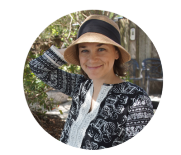 Where have you been all our homeschooling life? You are talented at explaining grammar in a way that my youngest (of 8) really gets it! Thank you! What is a verb? You know the answer now, right? I'm supposed to write, "What is a verb?" two more times on this page so that people using Google can find it, but I'd rather shove a spoon into my eye than continue trying to weave that phrase into a normal paragraph. So, I'm just going to write it twice without weaving it into the text. What is a verb? What is a verb? Ahh. That's much better. Thank you for letting me do that.